The Intensive training is a precious jewel from the wisdom knowledge of Tibet in a form suitable for today. The Intensive is the foundation of the work of Tibetan Pulsing and it is for those who are seeking their heart and to find their way home through the maze of life. To explore a deeper meaning and delve into the mystery. 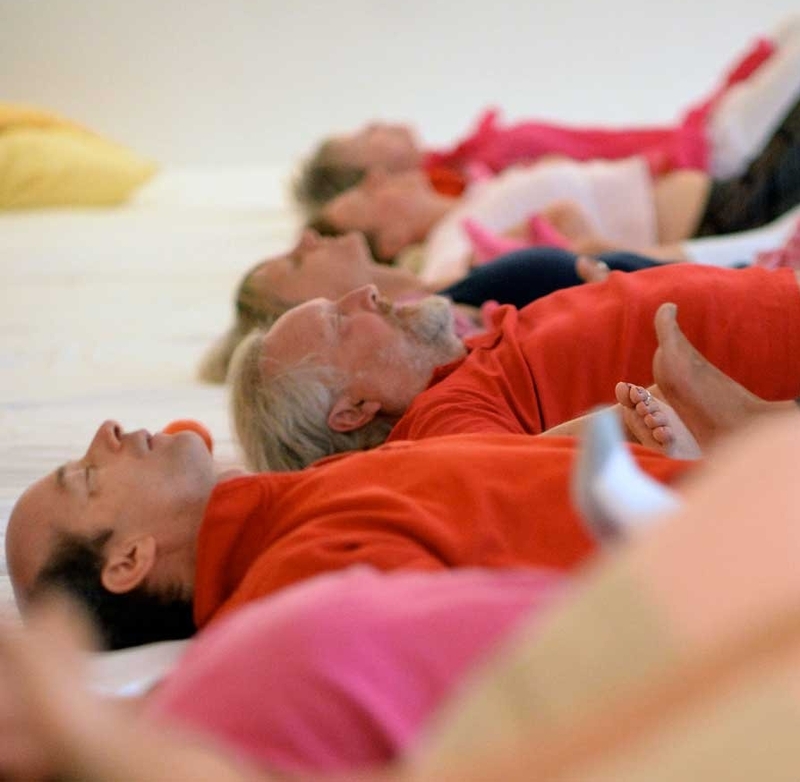 The Intensive has in total 4 Parts for those who wish to use the Intensive to become a Tibetan Pulsing Practitioner. Though you are also most welcome to come for your own healing and transformation, without any longer commitment to the full training; to explore the deeper meaning of the body and delve into the mystery. Our masculine aspect and how our attitudes affect our life path and body. Part 1 consists of a total of 24 organs, done over 2 Intensives (of 12 days each). We cover all the organs in their masculine aspect and it is important both for men and woman. We will explore and discover the structure of the body and its organs as vehicles of consciousness. The training serves to understand what "energy" (electricity, consciousness) is, as it takes form in living and dying. You receive maps and tools to move from your head to your heart, from I to me, learn about where any suffering or trauma is coming from and transcend your conditioning. The Tibetan Pulsing Intensive shares the maps, thoughts and conditions which develop the untrue life and pulsing starts to re-aligns you with the Divine Blueprint coded in our DNA and cells of the body. The ‘pulse’ penetrates to a cellular level making conscious areas that have switched off due to trauma or negative experiences. Our feminine aspect connecting our heart to the heart of all. Part 2 consist of all the 24 organs, also done over 2 Intensives (of 12 days each). We will cover all the organs in their feminine aspect including the tarot and theatre empowering parts of ourself that are more about feeling and relating. Part of the Intensive Training is a full training in the Iridology developed for this work. Specific maps are developed to read the eye and their physical and psychological conditions. 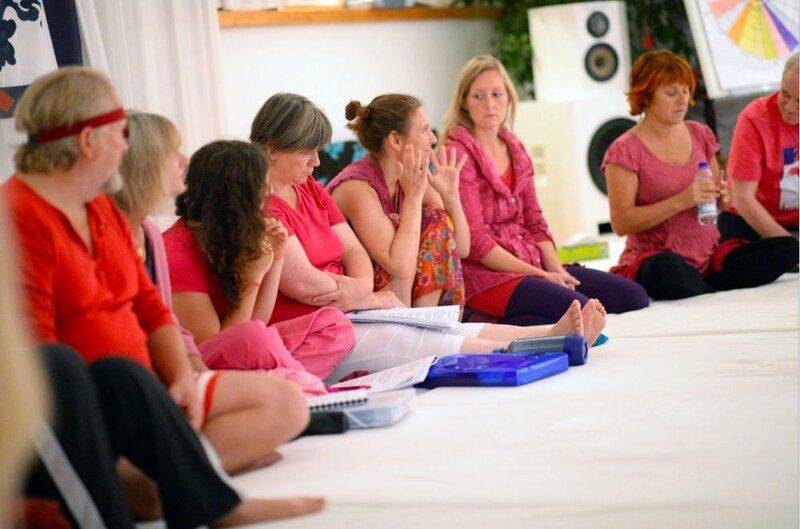 The Intensive is open to everyone, including those that do not want to use it for becoming a Practitioner. The only prerequisite: Get a taste of the work with individual sessions or participate in a workshop. Certificate: in order to become a Practitioner (session giver) you will need to practice/assist and attend advanced modules. In case you are working with people already this will be taken into account. Class of 2017 all dressed in the colour of the organ of the day!